(CNN) - In the ongoing -- and sometimes vicious -- vaccination debates online, pediatricians who are vocal vaccine advocates have become frequent targets of anti-vaxers. Dr. Paul Offit keeps a fat folder of nasty messages he's received so that "if someone kills me, my wife can give it to the police." He does not laugh when he says this. "Rot in hell you baby killer," one Facebook user wrote in an email to Offit, who is director of the Vaccine Education Center at the Children's Hospital of Philadelphia and professor of pediatrics at the Perelman School of Medicine at the University of Pennsylvania. "Go [f**king] kill yourself," another wrote. Dr. Peter Hotez at the Baylor College of Medicine in Houston is a vaccine researcher and pediatrician who wrote a book about his daughter called "Vaccines did not Cause Rachel's Autism." "You have no morals whatsoever and you know that you are a [f**king] liar. I hope you rot in hell," one anti-vaxer emailed Hotez, a professor of pediatrics and dean of the National School of Tropical Medicine at Baylor. Yet it turns out that the anti-vax sentiments frequently made on Facebook tend to remain consistent in their messaging and arguments -- but are diverse, as they often fit within four distinct subgroups, according to a study published in the journal Vaccine on Thursday. 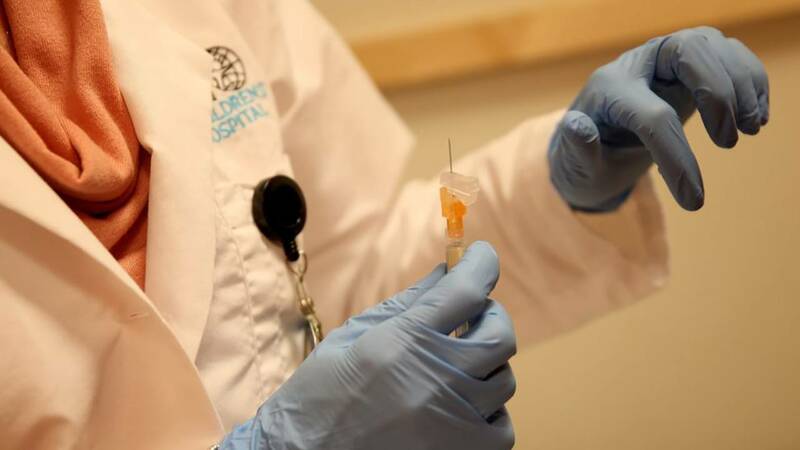 Some of the comments claimed the HPV vaccine kills people, and that the pediatric practice should stop seeing patients, given their vaccine promotion efforts, said Beth Hoffman, a graduate student at the University of Pittsburgh Graduate School of Public Health and a researcher with the university's Center for Research on Media Technology and Health, who was first author of the study. "There's been some previous work looking at the content of anti-vaccine messages within Facebook groups and then more broadly on the internet. ... But no one yet has done what we did in this paper, looking at the individual profile pages and actual people," Hoffman said. "One thing that is important to be thinking about is these anti-vaccine messages are spreading rapidly," she said. "These very vocal anti-vaxers are extreme, but we have this full spectrum of people who are vaccine hesitant. They are now being exposed to all this information on social media that can be very persuasive." The researchers found that the majority of the accounts, 89%, identified as women and, among those who divulged their location, the accounts represented 36 states and eight other countries. While anti-vaccination posts on the accounts' Facebook profile pages were diverse, the content tended to cluster into four distinct subgroups relating to trust, alternative options, safety, and conspiracies. "Individuals from around the globe who are opposed to vaccination are connecting via social media, suggesting the need for clinicians and researchers to develop interventions to combat the propagation of misinformation about vaccines on social media," the researchers wrote in the study. "We only looked at a portion of people who responded to a pro-vaccine video," Hoffman said. "It would be important to look at more people." The data in the study also only involved publicly available content from Facebook. "We didn't go in and friend these people and see what they were sharing," Hoffman said. Overall, the study confirms that Facebook is an element of the anti-vaccine movement, "which is now first and foremost its own media empire with almost 500 misinformation websites," said Hotez, who was not involved in the new research. "The study confirms that Facebook is now a key disseminator for those misinformation websites," he said. "Facebook and Amazon are not the US government, they're private entities," Hotez said in response. "They're a leading source of misinformation that is putting children in harms' way." Most health care professionals have argued that spreading misinformation about vaccines is harmful because vaccines protect against serious and sometimes deadly diseases -- such as polio, tetanus, the flu, whooping cough and measles -- so not getting vaccinated can put a person at risk of such illnesses. "I, like many of my colleagues, have been called cynical, a hypocrite, a liar, accused of being part of conspiracy, of profiting from vaccines, and -- in the best of cases -- told I'm just ignorant and unaware," said Bracho-Sanchez, who was not involved in the new study. "I don't engage with the individuals who target me in this way because I believe they are looking to insult and be inflammatory rather than to start a conversation," she said. "I also believe these conversations are not to be had online, where vulnerable parents can fall prey to misinformation, but rather in an office with a trusted provider who parents know have their best interest at heart."